What life lessons did previous generations of young people need to learn before they became adults? Could these rites of passage provide some answers to the multiple challenges facing young Maori today? These two questions were the foundation for a three year national project led by Gisborne researcher Manu Caddie and a team of youth workers from around the country. Youth workers from Christchurch, Wellington, Whanganui, Whangarei and Tairawhiti interviewed Maori elders in their community with a focus on their experiences as children and adolescents. The interviews were filmed and key messages from the stories compiled into a written summary. On Sunday night, 6pm at the Dome Cinema in Gisborne, the findings from the project will be released at a public screening of “Hei Tikitiki” a new DVD featuring highlights from more than 30 interviews. A 90 page report summarising the research findings will be available along with copies of the DVD. Most of the interviewees had grown up in communities and a time where Te Reo was the dominant language and tikanga Māori was still the dominant culture. A few had direct experience of traditional institutions like the whare wananga or were mentored by tohunga and kuia born in the 19th Century who ensured certain processes and rituals were in place for the child and adolescents. Many of the interviewees felt that their experience of rites of passage was more a general process of development rather than an explicit event or an intentional set of lessons that the teachers and learners were consciously participating in. Interviewees identified a range of experiences more closely assigned with western or contemporary rites of passage including leaving home, first job and working to support parents and siblings, getting a mortgage, general educational advancement including Māori trade training schemes, personal rites of passage, legal marriage, being given or taking responsibility for housework and farm work, choosing own clothing, fashion as a symbol of independence and enlisting in the military. – Maramatanga / essential values: manaakitanga (hospitality), respect for and valuing the guidance of elders, strong work ethic, personal integrity, contribution to the wellbeing of the whole community, respect and care for the natural environment and other creatures, etc. 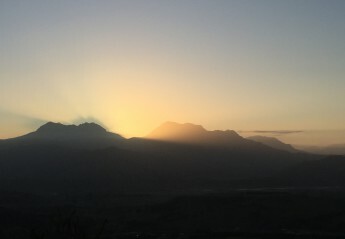 – Mātauranga / essential knowledge: whakapapa (genealogy and how different whānau, hapū and iwi are connected), wahi tapu (sacred places), wahi kai (food sources), battle-sites, astrology, astronomy and patterns of natural phenomenon that guide certain activities, roles and responsibilities of particular whānau within the hapū, cross-cultural comparisons, etc. – Mahitanga / essential skills: cultivating food, hunting and collecting food, preparing and storing food, communication skills (whaikōrero/karanga/kōrero/karakia) and hosting skills, house building, martial arts, creative arts and crafts, caring for the natural environment, etc. Less intentional lessons were also learnt through some experiences such as the importance of alcohol in whānau life, the gendered nature of work, the cyclical nature of violence, etc. All of the interviewees were able to provide examples of what they considered rites of passage. These were all personal experiences from their childhood and adolescence, in some cases pre-birth and for a few there were experiences they had in late adulthood – a few spoke of practices common in their community that they were aware of in their lifetime or their parents life. Only a few interviewees were able to share stories of how they participated in particular rituals, institutions or events that would adhere to the famous three stage (separation, transition, and reincorporation) rites of passage. 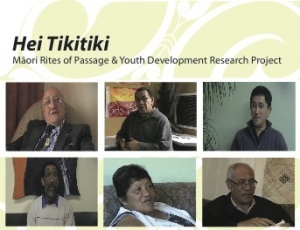 However nearly all of the experiences shared were consistent with the idea of rites of passages being markers of transition from one state of being to another, of being directed by and for the benefit of the wider community and of being essential for the intergenerational transmission of cultural values and community knowledge. The interviewees stories validate the claim of other recent research that the rite of passage process not only guides the individual’s transition to a new status, but, equally important, it creates public events that celebrate the transition and reaffirm community values, which inform and guide expectations for behaviours essential for the group’s survival. Mr Caddie said he hopes the project will provide a useful resource for anyone interested in positive youth development, social progress and how we pass on values and knowledge between generations. While the project focused on Maori experiences, Mr Caddie believes the principles and lessons learnt can be applied across any cultural group.